Electronic media and devices are a rapidly growing part of our waste stream. Most of this e-scrap contains confidential information. In the wrong hands, the misuse of this information can have dire consequences. 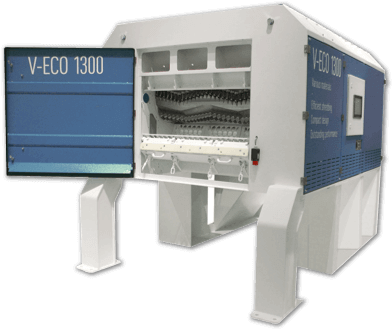 Vecoplan e-scrap shredders securely destroy electronic scrap in the most effective manner possible. Vecoplan shredders process electronic products such as laptop and notepad computers, cell phones, hard-drives, circuit boards, CDs, DVDs, audiotapes, videotapes, and a wide range of other types of electronic scrap that have reached the end of their useful life but still contain confidential information.